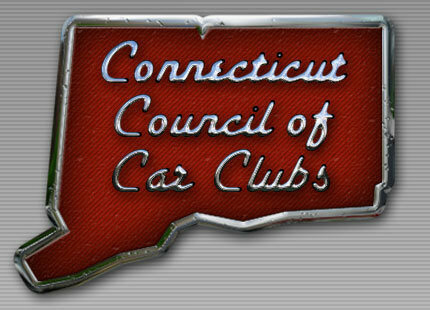 Over fourty years ago the Connecticut Council of Car Clubs (4Cs) was established. 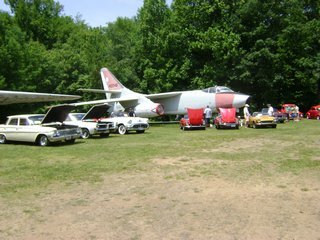 Since 1973, the 4Cs has effectively monitored legislative proposals, informed member clubs, and acted in the best interest of antique, classic and special interest car hobbyists. This year brings new challenges and opportunities. Restaurant is located on Route 66 approximately two miles west of Route 9 or approximately 7 miles east of Route 91. Restaurant is on the street in front of the Middletown Plaza Shoppes directly across the street from the Home Depot. We have a new Facebook Group Page check it out for hobby news and items then join and follow us! RICHARD POWALKA 1934 CHEVROLET 1/2 TON "DB"
Paul Pellerin, an Avon resident of 30 years and lifelong Connecticut resident,has written his first book about Connecticut's car history, in recognition of the 25th Silver Anniversary of the Connecticut Council of Car Clubs and New England Air Museum. 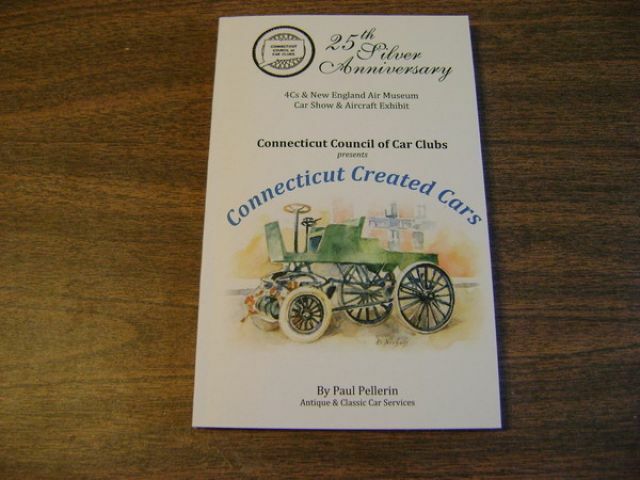 It took Avon resident Paul Pellerin about three years to complete his first book, and now Connecticut Created Cars is published and available to the public. He spent the first two years doing research, ultimately discovering 184 different automobiles manufactured throughout the state. 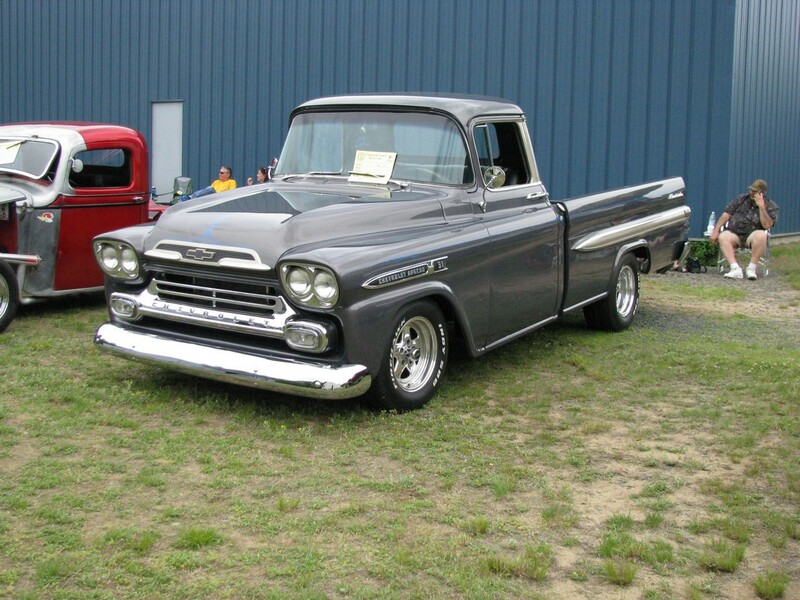 "Most people are amazed when you tell them how many cars were built in Connecticut," Pellerin said. "There’s maybe 41 built in Hartford and 21 in Bridgeport." 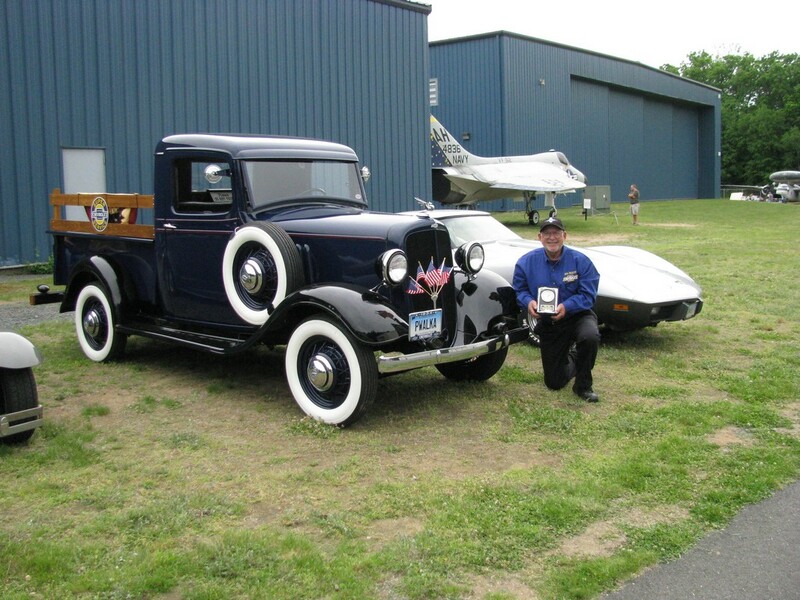 Pellerin, an Avon resident of 30 years and lifelong Connecticut resident, wrote Connecticut Created Cars, in recognition of the 25th Silver Anniversary of the Connecticut Council of Car Clubs, or 4Cs, and New England Air Museum Car Show & Aircraft Exhibit, which will be held on the first Sunday in June. 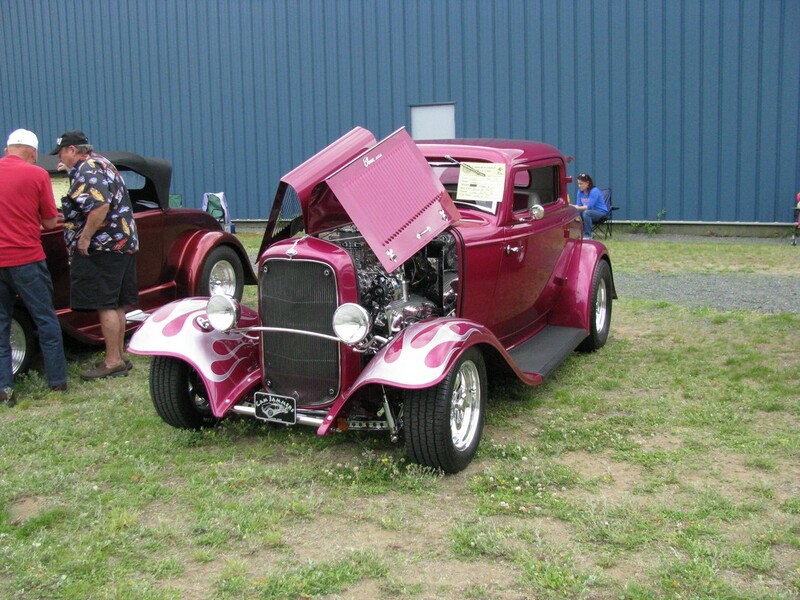 Pellerin's book provides a brief history of the 4Cs, a detailed list of automobiles created in Connecticut, sorted by city with over 90 accompanying illustrations, and information on major car shows and cruise nights throughout the state. Daniel Nichols, a Connecticut Automobile Artist, provided the illustrations.